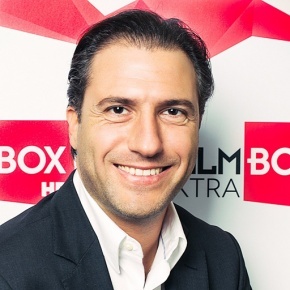 Mr. Berk Uziyel is the Executive Director of SPI International where he oversees all business operations related to the FilmBox brand channel portfolio. He is also in charge of all online services and the distribution of channels for SPI International, a global media and technology company specializing in movie distribution, content acquisition, sales and production of TV channels worldwide. Mr. Uziyel has been recently appointed as a Member of the Management Board of Kino Polska TV S.A., a publically traded media group owning several high-ranking movie channels in Poland. Mr. Uziyel also holds the position of Chief Operating Officer at Eftas, a technology company for which he developed a consumer electronic brand called Oblio, which has attained a very high market sale in Turkey. Previously Mr. Uziyel, as Eftas Sales & Marketing Manager and eventually Sales & Marketing Director, developed and managed relations with the leading photo brands such us Kodak, Olympus and Konica Minolta. Mr. Uziyel graduated from Babson College in Boston, USA.